I grew up eating. A lot. As the great food writer M.F.K. Fisher said, “First we eat, then we do everything else.” That describes my childhood home. In my mind, my Italian grandmother, Mama Rose, was always cooking. We lived with her in the house she moved to with her parents when they came from Conca Della Compainia, a small mountanous town an hour and a world away from Naples, Italy, to West Warwick, Rhode Island. When I was young, Mama Rose and her mother, Nonna, kept an enormous garden in the backyard, and they would sit on summer afternoons and snap the end off string beans (served cold with garlic and mint), press tomatoes into sauce, pickle read and green peppers for the Christmas antipasto. We had fruit trees, Seckel pear, cherry, apple, fig and blueberry and raspberry bushes. They raised rabbits and chickens, too. More than once a beloved white bunny- Snowball, Snowflake, Snowy- disappeared from it’s cage only for us to have funny-tasting “chicken” that night at dinner. I love Ann Hood’s books, and this one is on my list. This is my first Hood book. I’m starting it tommorow. This book sounds very good, although I don’t like the idea of the funny tasting chicken! 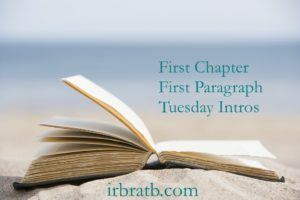 Thank you for sharing this intro, Vicki. I’m not that far into it but I’m enjoying it. I never read Ann Hood but I do like the sound of this one. I think this is my first Hood book. Sounds like a feel-good read. I’m liking the sound of this book! Some of the details may be different but this actually stirred some of my own childhood memories around food, fruit trees, shelling peas, and, (no rabbits) but unfortunately chickens…which peck by the way. That was a good taste. I lived in the city but visited friends and family when I was a kid, so I did some shelling of peas and picked fruit. I saw this book before and thought it sounded interesting. You’re welcome Bill. I’m glad you enjoyed it! I really want to read this. It sounds wonderful and it’s been far too long since I’ve read a foodie book. It’s been a long time since I read one too Katherine and this was a great choice to start with again. 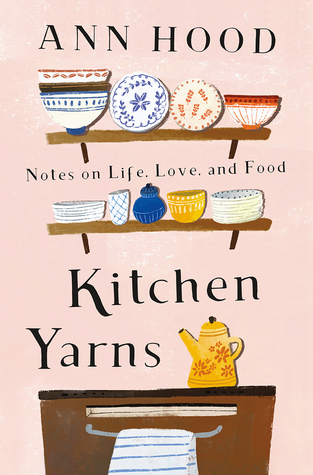 I am definitely going to read Kitchen Yarns. Thanks for reminding me how much I want to read it.